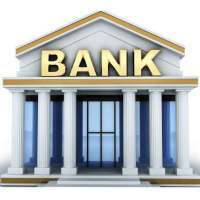 In the post independent era, the development of trade has greatly influenced the role of commercial banks. Banks have not only played a major role in the domestic trade, but also in the foreign trade. During the period between 1990 and 2000, India’s foreign trade has gone up from 18 billion dollars to 42 billion U.S. dollars. That is, nearly 90% of the foreign trade is financed by commercial banks. To enable the commercial banks to provide finance even in foreign exchange, the Exim Bank (Export-Import Bank) has provided different refinancing facilities. Banks help traders by discounting of their bills or in purchase of their bills by which immediate financial assistance is available and the traders are able to increase their turnover. This improves their profitability and they can even face competitive markets by undertaking business with a lesser margin of profit. The lesser margin of profit is compensated by a higher turnover of business. Thus, the bank is not only promoting trade but also helps the businessmen to expand their business and thereby the nation is made to earn the precious foreign exchange. With the development of capital market and with the change in the industrial policy, banks have started playing a pivotal role in promoting investments in various industries. Banks have directly involved themselves by acting as underwriters or indirectly they have helped companies by providing loans or by contributing to their shares and debentures in the form of mutual fund investments. Even for new ventures, banks have provided venture capital, in spite of the risks involved. In the capital market, banks have also invested their funds directly as well as indirectly and all these measures have made the capital market more dynamic. 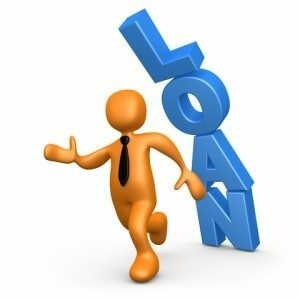 The working capital requirements of the industries are met by short-term loans provided by banks. 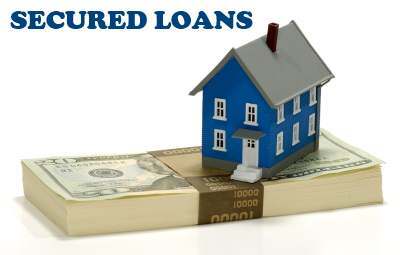 The restrictions on lending have also been withdrawn and the control on interest rates has also been lifted. Banks are now adopting floating rates of interest by which the interest rate is more determined by the market forces. The declining interest rate gives an impetus to the businessmen to borrow more by which there will be more production and trade. As a financial intermediary, banks not only promote investments but also enable corporate sector to go in for huge borrowings to undertake large scale business both within and outside the country. A group of banks join together and undertake Consortium financing or Syndicate financing by which companies are enabled to buy huge assets such as the purchase of a ship or a plane or increase the existing fleet of airlines or shipping companies. In addition to the above functions, as a merchant banker, banks help in promoting companies through NRI investments and the promoters are enabled to buy back their shares after a fixed period, out of the profits. Thus, they are able to channelize the savings of Indians living abroad. The standing example for this will be the collection of NRI deposits by State Bank of India through the sale of India Resurgence Bonds in 1998 and Millennium Deposits in 2000. Approximately, 6 U.S. billion dollars have been mobilized and they have been invested in infrastructure development. Global Deposit Receipt and American Deposit Receipt are also floated through commercial banks for the purpose of raising foreign exchange, required by Indian companies. Another role of commercial banks as a financial intermediary is activating various financial markets in the country. Money market, capital market, foreign exchange market and government securities market are benefited by the active role of commercial banks. Money market provides working capital and a major role in the Indian money market is played by the commercial banks. By lending working capital at a lesser rate of interest, commercial banks promote investment and production in the economy. This leads to more employment and increase in the income among people. Consequently, demand for goods will increase, leading to increase in the price level. Businessmen will earn more profits and this will activate the capital market as companies will be declaring more dividends. 1. Capital market is benefited by commercial banks as they not only invest directly in various companies’ shares but also undertake investments on behalf of customers. 2. Banks also promote mutual funds which in turn invest in capital market, the funds mobilized from the depositors. NRI deposits are also attracted and they also help in the promotion of activities in the capital market. 3. The new companies which are directly issuing shares to the public are helped by commercial banks either by way of underwriting or by way of issue of shares. 4. Stock invest Account: Some banks even open stock invest account which has a specific sum of amount deposited by the customers. The customer can apply to any new (company) issue of shares and he will quote the Stock Invest account in the share application form. In case of firm allotment, the company will intimate the bank and the bank will debit the stock invest account. Thus, both primary market and secondary market are activated by commercial banks. In India, foreign exchange is under the control of Reserve Bank of India and it is called Exchange Control. Foreign currencies in any form cannot be handled by the public without the knowledge of RBI as only those who are licensed by RBI under the FERA regulation can handle foreign exchange. This Act is now renamed as Foreign Exchange Management Act (FEMA). All the commercial banks in India, are Authorized Dealers and are permitted to buy and sell foreign exchange at the rate quoted by the foreign exchange market. In India, full convertibility of currency is yet to take place, as only limited amount of Indian rupee is convertible into foreign currency in the current. account (within one year). As such, the commercial banks will be able to meet the requirements of the customer in foreign exchange and they help in converting the rupee into foreign currency or vice versa. Commercial banks are helping foreign trade by providing pre-shipment and post shipment finance and thus enable the country to earn foreign exchange. To meet the budgetary deficit and to fill up the short-term gap, government issues Treasury bills which carry attractive interest rates. These Treasury bills are issued through Reserve Bank of India with discounts so that commercial banks can buy them as a part of their investment. In fact, they are compelled statutorily, under Section 24 of the Banking Companies Act to invest certain percentage of their deposits in approved government securities. The investment made in government securities on the one hand enables the government to raise funds and on the other hand helps the commercial banks to obtain a fixed return on the deposits. Such an investment also acts as a safety and liquidity source, as in case of emergency, these securities can be liquidated in the market at a short notice. 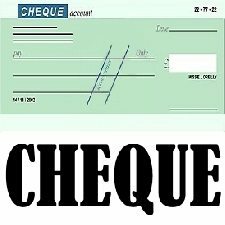 When should a banker refuse payment of cheque?